29/07/2006 / Be the first to comment! / Be the first to like this! Back to regular uplifting trance 🙂 This mix contains unsigned tracks by Arpegia (BELGIUM), Marco Torrance (GERMANY) and Diego Yaya (COLUMBIA) ! More info on how to submit your own tracks on http://www.uplifting.be ! 23/07/2006 / Be the first to comment! / Be the first to like this! If you like it HARD, this is what you need. A caffeine-driven mix with the hardest tracks ever played in trance mutation broadcast. Like they say : "All your bass are belong to us" ! 09/07/2006 / Be the first to comment! / Be the first to like this! Get ready for some headbanging clubtrance mixed by Jordan Waeles ! 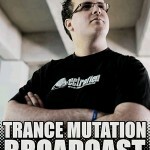 As requested by many of yours, Trance Mutation Broadcast now features the song titles !